If you own a small business maximizing cash flow is likely one of your primary goals. Avoiding heavy debts can keep your business afloat during its early days. Even the most successful entrepreneurs go through business cycles so being diligent in collecting cash will help you ride out the low periods. Give your small business a chance to turn a profit as quickly as possible by getting your accounting game in order. Although you may cut clients some slack remember that at the end of the day you’re running a business. Having the proper protocols keeps your business flowing smoothly. Don’t dive into your business heard first without giving careful thought to accounting. Whether you’re using accounting software to balance your books or if you’re doing completing this task manually it pays to think through your accounting plan before you start your small business. Doing the financial legwork beforehand benefits you in the long run as any cash starved business often goes out of business quickly. Keep track of your records, including receipts, to maximize write offs and to ensure that your business is growing steadily year over year. 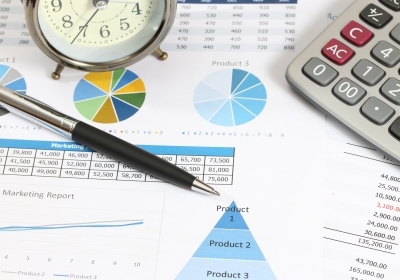 Use these tips to keep accurate records and to improve your small business cash flow. Don’t push aside this sometimes boring, repetitive job. When tax time comes around you’ll thank yourself for patiently sorting and filing your receipts. Photocopy or scan receipts to build your collection. Sort each one by date. Filing receipts in this manner helps you find critical information quickly. For example, if you look up an expense and relevant tax deduction for any period of the year you can quickly and easily find the corresponding receipt. Diligently filing each deduction lowers your tax bill significantly and filing all expenses paid via the receipt gives you a hard copy record to refer to if the IRS has any issues with your filing. Consider backing up your photocopied receipts with online scanned versions just to have another record available. If your small business donates to organizations it’s imperative to get a receipt for any donation made to add to your records. In some cases, scanning a check is not enough to prove the validity of a donation. Make sure that the gift is accepted as a tax write off versus being denied. Although tracking your business account bank statement online gives you access to financial records you also want to keep a separate financial ledger devoted strictly to your small business. Track reimbursements made to workers, credit card purchases and cash spending to better get a handle on your small business financials. Add as many details as possible to make your life easier. Vague accounting is poor accounting. Adding specific details gives you a clear picture should you need to reference any one record. This careful level of record keeping benefits your account when it’s time to do taxes or if they’re simply keeping up to date with your financials. If you’re looking for accounting help download this professional estimate for free.